Begin by selecting the type of program you are interesting from the lists on the left of your screen. The programs are oraganized in seven categories: Medical Technician, Nursing, Alternative Medicine and Natural Healing, Medical Records (Insurance Coding and Billing), Dental, General Training, and Administration. 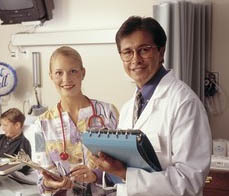 You can also search by a specific medical career or location on the right column. What Exactly Does A Medical Laboratory Technician Do? What Type of Nurse Should You Become? Road to Radiographer - What does it take to get there?